Data visualization merits consideration for several reasons. Not only can it be strikingly beautiful and attention getting — valuable social currency for sharing and attracting readers – it also leverages a powerful cognitive advantage: fully half of the human brain is devoted to processing visual information. When you present a user with an information graphic, you are reaching them through the mind’s highest-bandwidth pathway. A well-designed data visualization can give viewers an immediate and profound impression, and cut through the clutter of a complex story to get right to the point. But unlike other visual media – such as still photography and video – data visualization is also deeply rooted in measurable facts. While aesthetically engaging, it is less emotionally charged, more concerned with shedding light than heat. In an era of narrowly-focused media that is often tailored towards audiences with a particular point of view, data vis – and data journalism in general – offers the tantalising opportunity for storytelling that is above all driven by facts, not fanaticism. 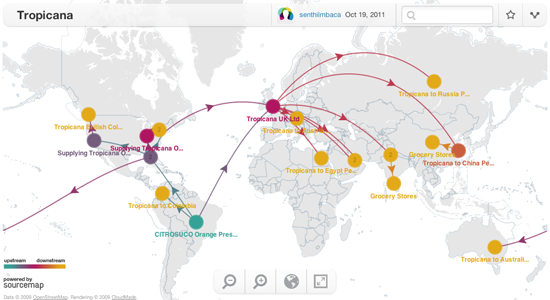 Moreover, like other forms of narrative journalism, data visualization can be effective for both breaking news – quickly imparting new information like the location of an accident and the number of casualties – and for feature stories, where it can go deeper into a topic and offer a new perspective, to help you see something familiar in a completely new way. 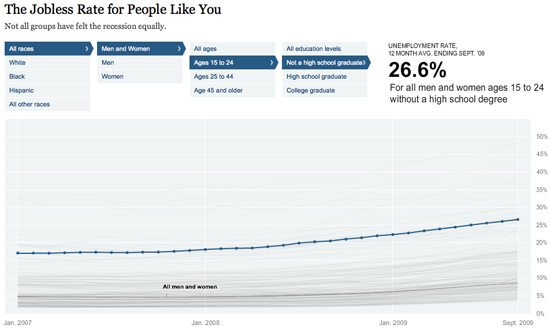 In fact, data visualization’s ability to test conventional wisdom is exemplified by an interactive graphic published by The New York Times in late 2009, a year after the global economic crisis began. With the United States' national unemployment rate hovering near 9 percent, users could filter the US population by various demographic and educational filters to see how dramatically rates varied. As it turned out, the rate ranged from less than 4% for middle aged women with advanced degrees to nearly half of all young black men who had not finished high school, and moreover that this disparity was nothing new — a fact underscored by fever lines showing the historic values for each of these groups. Even after you’ve stopped looking it, a good data vis gets into your head and leaves a lasting mental model of a fact, trend or process. How many people saw the by animation distributed by tsunami researchers in December 2004, which showed cascading waves radiating outward from an Indonesian earthquake across the Indian Ocean, threatening millions of coastal residents in South Asia and East Africa? Data visualizations — and the aesthetic associations they engender — can even become cultural touchstones, such as the representation of deep political divisions in the United States after the 2000 and 2004 elections, when “red” Republican-held states filled the heartland and “blue” Democratic states clustered in the Northeast and far West. Never mind that in the US media before 2000, the main broadcast networks had freely switched between red and blue to represent each party, some even choosing to alternate every four years. Thus some Americans' memories of Ronald Reagan’s epic 49-state “blue” landslide victory for the Republicans in 1984. But for every graphic that engenders a visual cliché, another comes along to provide powerful factual testimony, such as The New York Times' 2006 map using differently sized circles to show where hundreds of thousands of evacuees from New Orleans were now living, strewn across the continent by a mixture of personal connections and relocation programs. Would these "stranded" evacuees ever make it back home? So now that we’ve discussed the power of data visualization, it’s fair to ask: when should we use it, and when should we not use it? 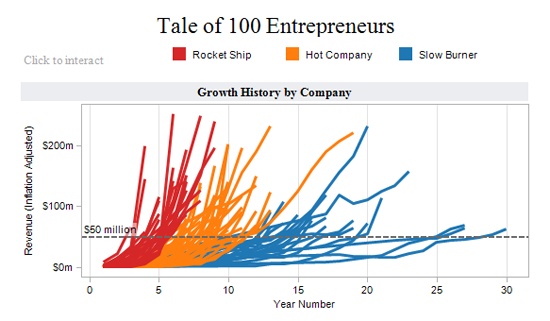 When to Use Data visualization? First of all we’ll look at some examples of where data visualization might be useful to tell help to tell a story to your readers. Perhaps the most common use of data vis – as personified by the humble fever chart – is to show how values have changed over time. The growth of China’s population since 1960, or the spike in unemployment since the economic crash of 2008, are good examples. 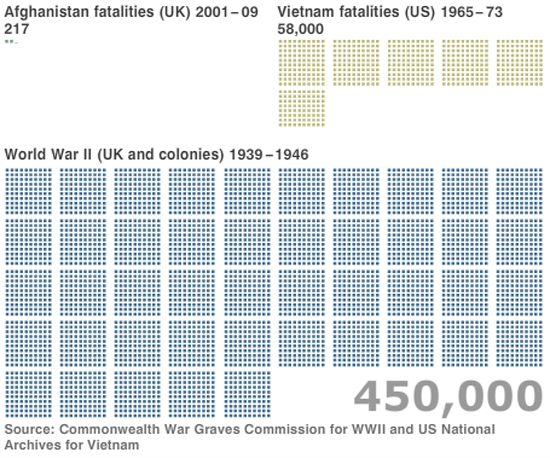 But data vis also can very powerfully show change over time through other graphic forms. The Portuguese researcher Pedro M. Cruz used animated circle charts to dramatically show the decline of western European empires since the early 19th century. Sized by total population, Britain, France, Spain and Portugal pop like bubbles as overseas territories achieve independence. There go Mexico, Brazil, Australia, India, wait for it… there go many African colonies in the early sixties, nearly obliterating France. A graph by the Wall Street Journal shows the number of months it took a hundred entrepreneurs to reach the magic number of $50 million in revenues. Created using the free charting and data analysis tool Tableau Public, the comparison resembles the trails of multiple airplanes taking off, some fast, some slow, some heavy, plotted over each other. Speaking of airplanes, another interesting graph showing change over time plots the market share of major US airlines during several decades of industry consolidation. 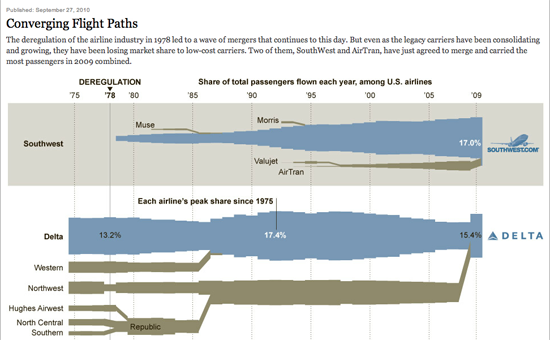 After the Carter administration deregulated passenger aviation, a slew of debt-financed acquisitions created national carriers out of smaller regional airlines, as the graphic in [FIG] by The New York Times illustrates. Given that almost all casual readers view the horizontal “x” axis of a chart as representing time, sometimes it’s easy to think that all visualizations should show change over time. France’s introduction of high-speed rail in 1981 didn’t literally make the country smaller, but a clever visual representation shows how much less time it now takes to reach different destinations than by conventional rail. A grid laid over the country appears square in the “before” image, but is squashed centrally towards Paris in the “after” one, showing not just that outbound destinations are "closer," but that the greatest time gains occur in the first part of the journey, before the trains reach unimproved tracks and have to slow down. For comparisons between two separate variables, look at Ben Fry’s chart evaluating the performance of Major League Baseball teams relative to their payrolls. 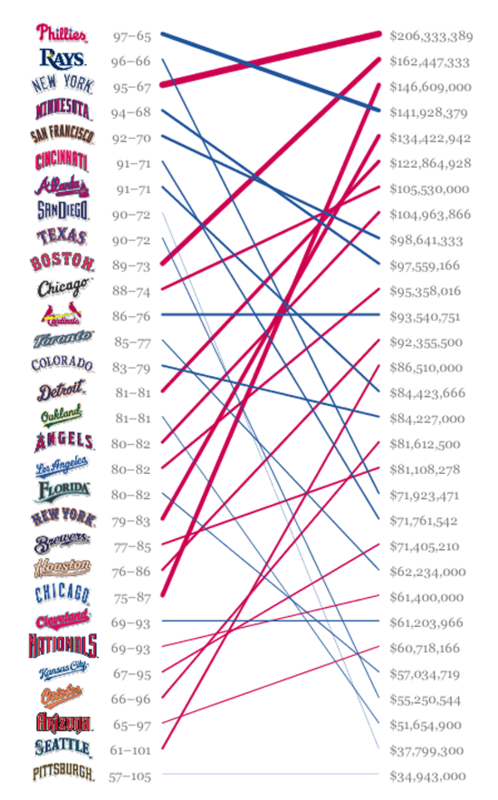 In the left column, the teams are ranked by their record to date, while on the right is the total of their player salaries. A line drawn in red (under performing) or blue (over performing) connects the two values, providing a handy sense of which team owners are regretting their expensive players gone bust. Moreover, scrubbing across a timeline provides a lively animation of that season’s “pennant race” to the finish.